Joyfully Curly is bringing back simple hair care for curly girls, for stand-out results. Based in the Charlotte Metro region, Joy has over 12 years exclusive experience of cutting curls and waves as a certified DevaCut stylist. Her work is centered around water-soluble philosophy, giving her girls a specific cut for their curls and then coaching them through the learning curve, to fabulous hair! We believe all women should love their hair. I estimate that 65% of all women have wavy or curly hair, but many have never been aware of it or have been fighting their natural bent and misunderstanding their hair for years. " IS A JOYFULLY CURLY CUT RIGHT FOR YOU? 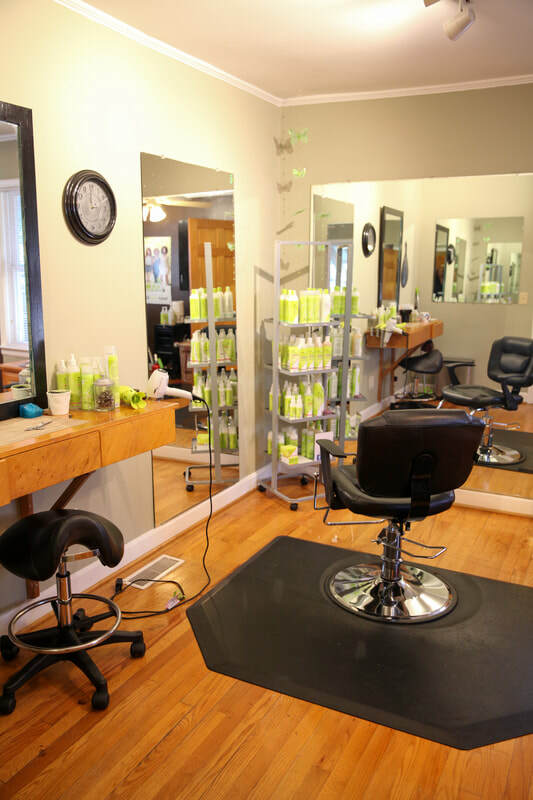 If salon hair appointments have you near tears afterward or rainy days are a wild-card, then the answer is yes. Great hair gives a girl self-confidence, and if you feel overwhelmed by hair care then a regular cut is not the answer for you. Most cosmetologist and stylists treat curly or wavy hair exactly like straight hair, but because the hair follicle grows in a bend or 'S' pattern, a regular cut and blowout is more disastrous than helpful. A curly cut is specific to each curl pattern and type, and because the hair is cut dry the stylist is able to see exactly what the hair needs. 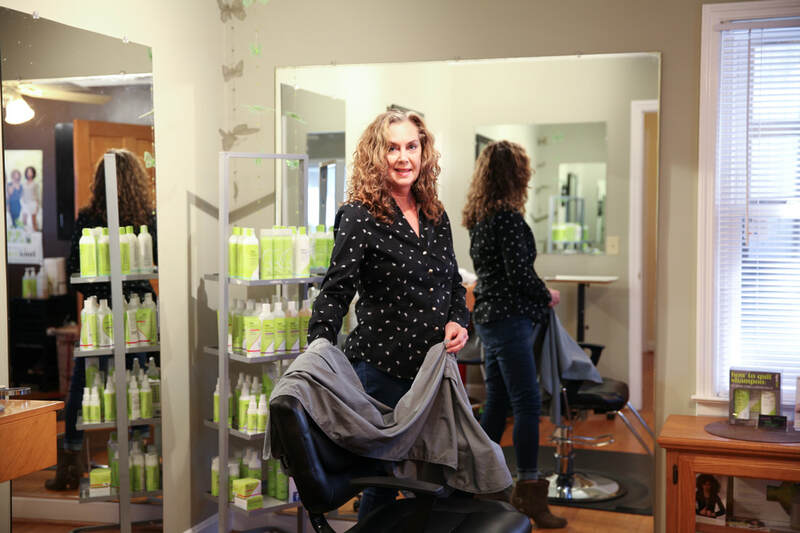 Joyfully Curly takes this curly cut to another level by offering a consultation with a first haircut, and tips and coaching to help adapt to the new hair-care routine. For girls ready to shake out those curls and embrace the ride, this is the place for you. I was twelve when I had my first appointment with Joy. She taught me so much about how to care for my hair! Three years later and I can’t imagine where I would be without her instruction. " * In order to ensure your curls are healthy enough for lightening services you will need to have had a prior service from Joyfully Curly. Joy is selectively accepting new clients at this time with an interest in adapting to the curly girl lifestyle. All services are exclusively given by Joy in a relaxed private setting. She schedules and communicates by email in order for her clients to receive the benefit of her full attention and expertise during an appointment." The success of a cut with Joyfully Curly depends on how you prepare before the appointment. Many curly girls have been using products with heavy oils, parabens, and fillers, so to really get those curls bouncing we ask that you follow a few simple steps before coming. ✔️ Have you read the Curly Girl handbook? It's a highly recommended read to understand how to care for your hair using the water-soluble philosophy, and explains why a Joyfully Curly cut works best on dry hair. Don't worry, you'll still get a fabulous wash and dry after the cut is done. ✔️ ​Don't straighten or curl your hair before you come. ✔️Relax, you're in good hands. I am using DevaCurl Original or CurlyWorld products exclusively. I have read the Curly Girl Handbook. I am a new client.